Your donation can make a great difference. Every dollar counts! 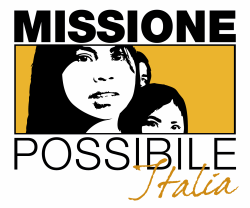 Donations to Missione Possibile are eligible to claim deductions. For more details, please refer to HK Inland Revenue Department FAQ (http://www.ird.gov.hk/eng/faq/acd.htm). Organize a team or group hike, bike race, or a run – and collect pledges for each mile or hour completed. Link it to our Just Giving site. Arrange a sale by gathering any goods that you, friends or family don’t want. Price each item, and possibly sell larger items in an auction format. Host a dinner or gathering for a group of friends and colleagues, with each guest making a pledge to donate to MPHK. Children may wish to get involved by holding a bake sale in their local community or having a Lemonade stand. We would welcome the opportunity to meet with you to discuss how we could work together. Please contact us to discuss this further. Donations of material items are a great way of directly supporting our work. All material donations are personally delivered on our trips to ensure they get to where they are needed, and we are happy to take photos or report back on how the items were distributed. Contact us for more information on our current needs.